Our goal is simple: make calculating Montana child support as easy and convenient as possible. Today, we’re happy to announce a step in that direction. 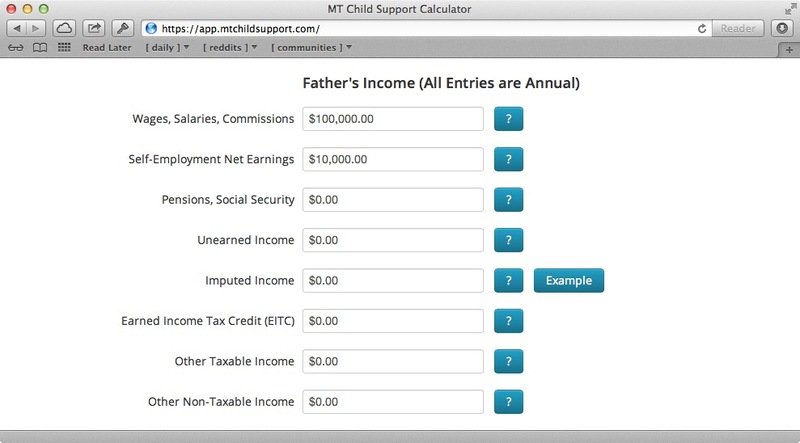 Our system now offers inline help, explaining all the different entries that you’re asked to provide in a child support calculation. The help language comes directly from Montana’s Child Support Enforcement Division (CSED) and gives vital guidance to what can be an otherwise intimidating questionaire. Next to each blank in our system, you’ll now see a box with a question mark. Simply click the box to get an explanation for what type of information goes in that blank, and how it should be calculated. A few of the help sections even have an accompanying explanation. Again, these are provided directly by the state agency responsible for developing the child support guidelines. You might say, they’re straight from the horse’s mouth.